Docker image is a file, which contains set of commands. When these commands are executed, instance of the image is created and this instance is called Container. We can assume image files are like Java’s class files and objects are container instances. Docker Store is a central repository for docker image files. This repository is maintained by Docker and it contains images of many major applications. In this section we will pull mysql image from docker store and then run it to create a container instance. We can search for mysql-server in docker store. Here is the direct link of mysql-server page in docker store. 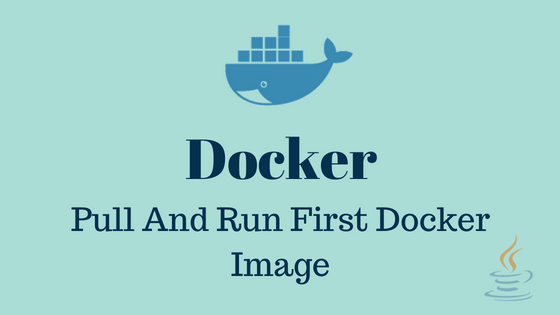 All image files will have a dedicated page in docker store which provides basic information about the image and instructions to pull, run and configure it, also it shows contents of image file. Below image shows the structure of the page. Lets pull mysql image from docker store. Open terminal and execute below command. Before executing this command make sure that docker is running. Refer Docker introduction for more details on Docker setup. <1> tag is like version number. If we don’t mention the version then docker will download latest version by default. In the docker image page go to the tags tab to check all available versions/tags. Check point 3 below for more details on downloading specific tag. <2> Docker image files are immutable, means once the image is build its content will never change. Each image will have unique digest value. This shows the digest of mysql image which we downloaded. In the previous section we downloaded mysql image. In this section we will run this image. Execute below command, which will create mysql container instance. Warning: Unable to load '/usr/share/zoneinfo/zone1970.tab' as time zone. Skipping it. [Server] 'user' entry 'healthchecker@localhost' ignored in --skip-name-resolve mode. <1> Some where in the center of the logs, we should see generated root password. Note down this password, it will be different on your machine. We need this password to connect mysql. If we want to provide our own password then we can provide it in run command like this docker run -e MYSQL_ROOT_PASSWORD=root mysql/mysql-server. Here I provided ‘root’ as the password. <2> At the end of the logs we should see message saying ready for connections and also it shows version and port number. In the above section we ran mysql as foreground process means terminal is taken up by the run command and we can not get prompt to enter other commands. To stop current running container first we need to execute below command in other terminal. Container Id: Randomly generated unique Id to identify this container. Ports: Ports exposed by this container. Names: Random name assigned to this container. b1b681db49f2 is the container id assigned to mysql container executing on my machine, this id will be different on your machine because it is a randomly generated id. Get this id from the result of docker ps command. Verify if container was stopped by running docker ps again, this time you should not see the mysql container in the result. In the previous sections we went through the process of starting and stopping containers. In this section we will test mysql container by connecting to it. IMPORTANT: Every container is different. Steps in this section explains the verification process of mysql container if we want verify any other container then we need to follow the process mentioned in the docker store page for that container. -e: This flag helps us to set environment variables for the container. In this case we used this to set mysql root password. Check mysql docker store page for all available environment options for mysql. -d: Runs container in the background so we can continue to use the prompt in this terminal. docker logs takes the container name and I provided mysql because in the previous run command I provided container name as mysql. We are having a running mysql container now lets execute bash in the mysql container so we can connect and execute some queries. This command prompts for the mysql password, enter the password. Now we can execute sql queries on mysql container. Below query lists all available databases. You can continue to execute mysql queries here. In this article we learnt downloading images, running and testing containers. With this setup we can have mysql in the docker instead of on the machine.